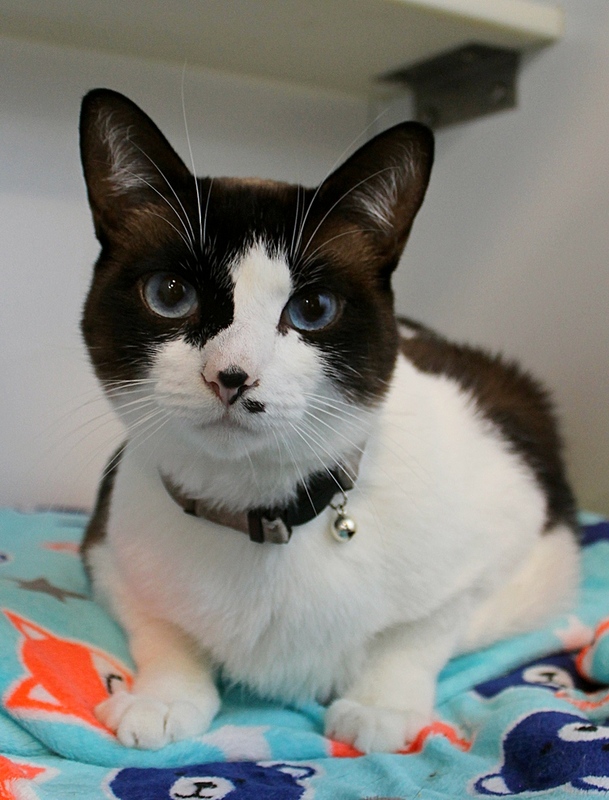 I’m Jasper, the strikingly handsome Snowshoe Siamese kitty of your dreams! I’m about 1-year-old and am as sweet and snuggly as I am gorgeous. 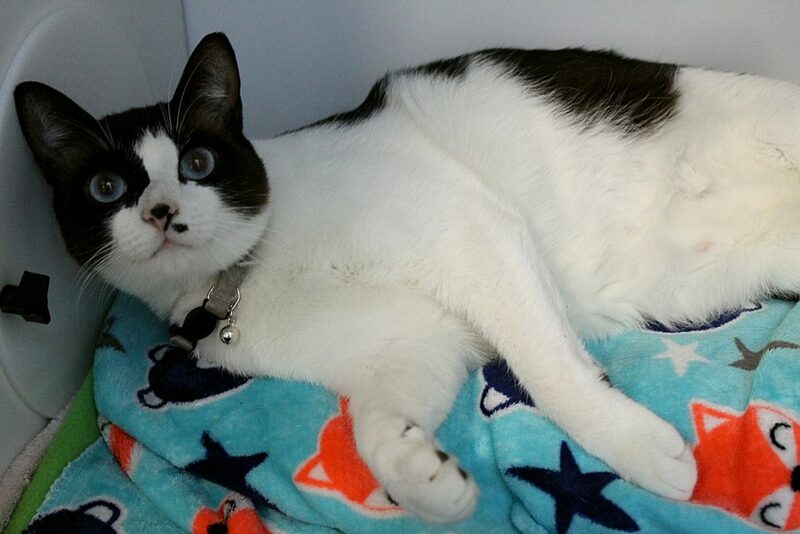 My personality is absolutely wonderful — I will roll over for belly rubs whenever someone offers me attention and have no problem being held and loved on all day long! Since I’m a young guy, I definitely have a playful side — that being said, I’d say I’m more of a couch potato and can be a bit lazy just preferring to lounge around all day. Even though I’m a Siamese mix, I’m a pretty quiet guy and definitely portray more traits of the Snowshoe breed, which is known for being very gentle and a great family cat. I came to Pixie with a very active and loud Pomeranian and have proven to be really comfortable around dogs as well as other cats. My former situation and transition to Pixie was really stressful and although I never acted stressed or scared, I did arrive at the shelter with a pretty painful urinary infection which was treated right away and which I have since recovered from. I don’t need any more medication and am back to full health, but in order to prevent future infections — especially as I transition to a new home — the doctor says I need to stay on a prescription urinary diet for now. I’m ready for a calm, loving home to settle into and leave my old life behind — won’t you come meet me? I promise I won’t disappoint! I’m currently living at Pixie and would love to make your acquaintance! I come to you fixed, vaccinated, and micro-chipped (and outrageously handsome) for an adoption fee of $100.